MVCTC is excited for the 50 Business Professionals of America (BPA) students who qualified for the State BPA Conference in Columbus. 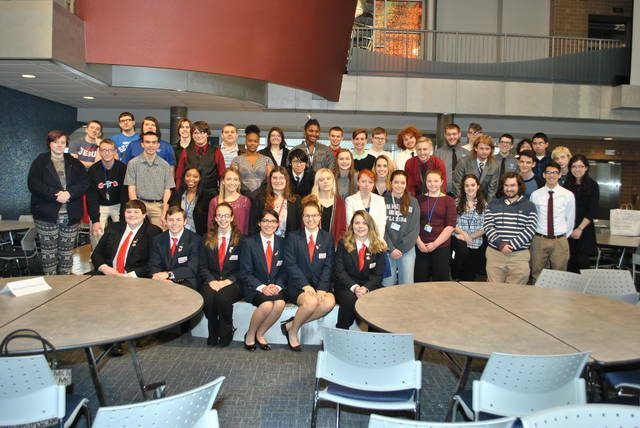 Englewood — Miami Valley Career Technology Center (MVCTC) Business Professionals of America (BPA) students performed well at the recent BPA Regional Contests. Of the regional winners, 50 qualified to compete at the State BPA Contest in Columbus March 8-9. The following MVCTC students qualified to compete at the State BPA Contest. BPA is a national student organization that serves Business and Information Technology students. Members participate in activities that promote leadership, citizenship, academic, and technological skills, as well as competing in BPA contests related to their career field at the local, regional, state, and national levels. https://www.registerherald.com/wp-content/uploads/sites/41/2018/03/web1_DSC_01272018310223238509.jpgMVCTC is excited for the 50 Business Professionals of America (BPA) students who qualified for the State BPA Conference in Columbus.